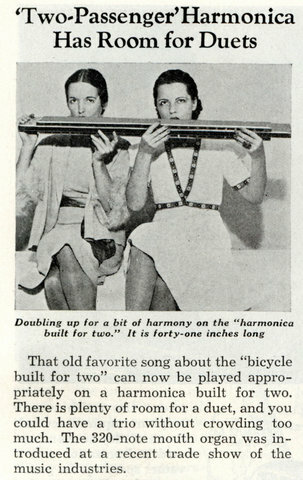 That old favorite song about the “bicycle built for two” can now be played appropriately on a harmonica built for two. 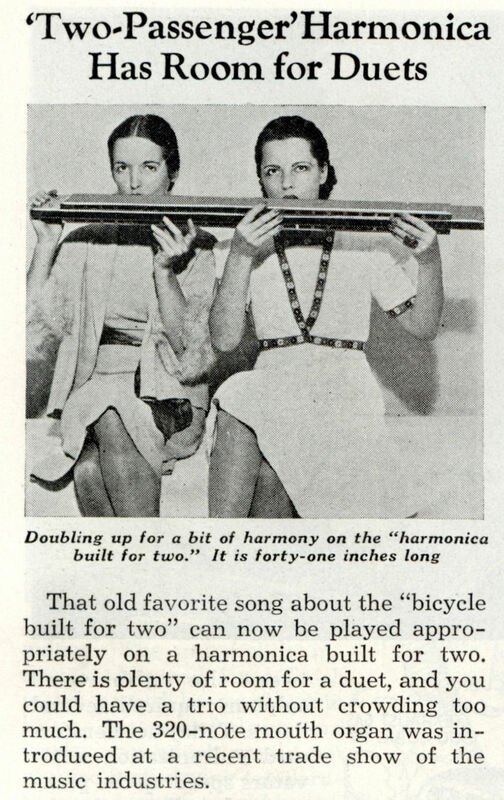 There is plenty of room for a duet, and you could have a trio without crowding too much. The 320-note mouth organ was introduced at a recent trade show of the music industries.